For those who don't know, I'm currently living in Japan and I'm from Australia. Australia is generally warmer than Japan and allow me to let my Australian out when I say this: Japanese Winters are freezing! On the plus side, cold winters mean wanting to stay inside and play JRPGs, which means I was able to play quite a bit this season. 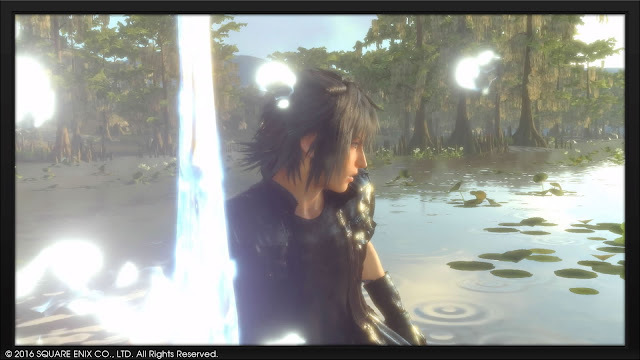 I mostly mean hours-wise, because I may have gotten a very big Final Fantasy XV addiction, which meant I only tried so many new games while continuing to run around in Recipeh Final Fantasy XV. Looking back on my JRPG time in Winter, outside of my Final Fantasy XV time I'm really happy with the variety of JRPGs I played. I fell in love two Final Fantasy games, added a fun new mobile game to my regular rotation, played some really great Indie JRPGs from outside of Japan and got started on my JRPG New Year Resolutions. 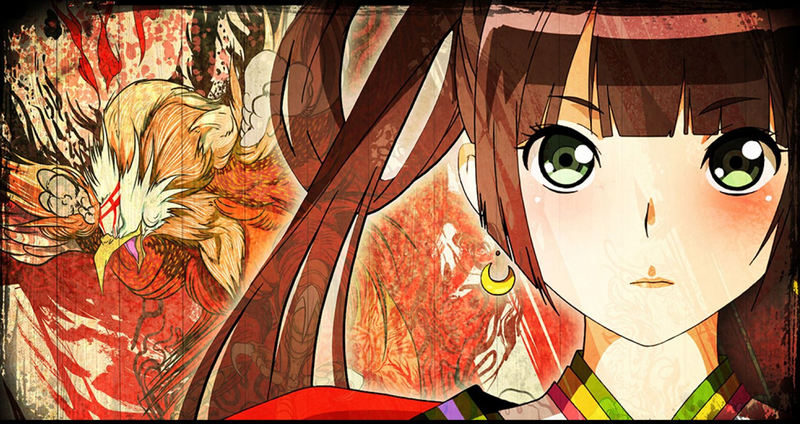 It was a fulfilling Winter of JRPGs, so I hope you enjoy reading about the JRPGs I played. If it wasn't obvious from the amount of articles and tweets I've made about it, I really like Final Fantasy XV. I like it to the point where I limit how long I play it because it's the kind of game where I could do like I did with Persona 4 Golden and play it and nothing else for nine months straight. 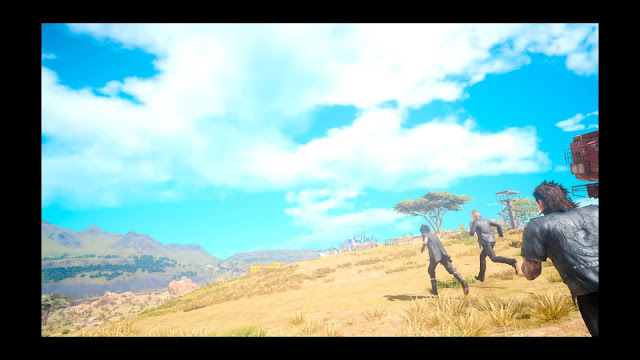 I love running around with the group of four so much finding quests, recipes and weird things to fight and having the (sadly now gone) Moogle Chocobo Carnival come out recently to give even more content was pretty much the icing on the cake. 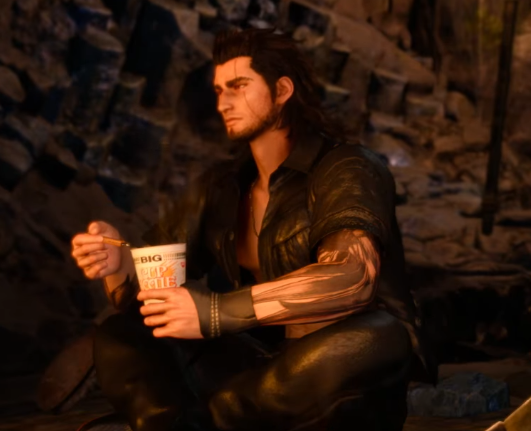 I reviewed it properly in another post, but I'm still having a ball with XV and am completely hyped to keep playing it into Spring with the new update just out and Episode Gladio coming soon. This isn't a ranked post, but I'd probably call Fire Emblem Heroes my second favourite JRPG of this Winter as it's taken over my mobile gaming time pretty much completely (and I may have my characters training on Auto-Battle as I write this). Fire Emblem Awakening has probably been my favourite tactical JRPG experience so far, so having a pocket-sized version of the Fire Emblem games constantly by my side is pretty awesome. Since writing my review of Fire Emblem Heroes, there have been a few updates to it, including events giving orbs and new story, which was exactly what I said I wanted in my review. I hope Fire Emblem Heroes keeps up the good thing it has going because so far, it's a really solid smartphone game. 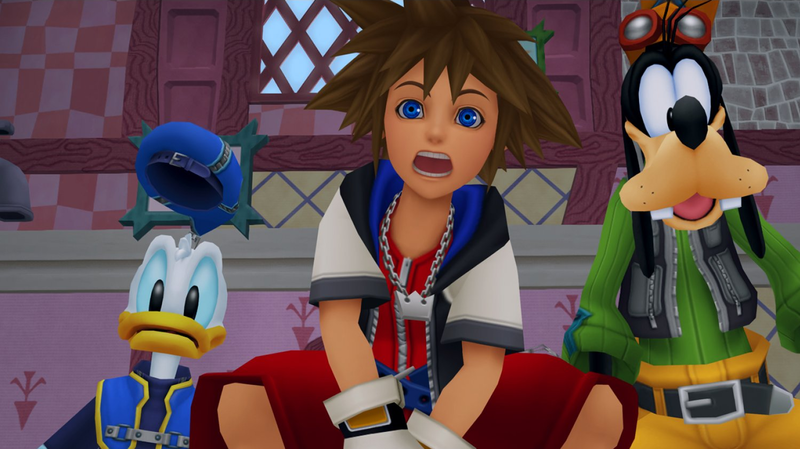 When Kingdom Hearts 2.8 was looming last month, I had the sudden realisation that I'm very behind on certain parts of Kingdom Hearts' story. I've played 1 and 2 back on PS2, an insignificant chunk of Kingdom Hearts Chain of Memories and not much else. I barely know who Aqua is and she looks cool and important enough in the 2.8 trailer that I decided (with some helpful nudges from lovely people on Twitter) it's time to catch up and if I start now, I might be ready before Kingdom Hearts 3. I'm starting my Kingdom Hearts 1.5 HD Remix journey by playing through the first Kingdom Hearts again because it's been awhile. It holds up really well for a game released 15 years ago and I'm having a lot of fun playing it again because, well, it's still a good game. I am rushing through a little on Easy mode to get to the new stuff faster, but even on easy the combat is still active and rewarding. I'm playing at my own pace but it's a fun world to revisit and I'm looking forward to finally understanding it better. Despite the fact I don't write my JRPG-specific PSN summaries anymore, I do still lurk the Australian and Japanese PSN every week when they're updated. I discovered very recently God Wars: Toki wo Koete (known in English as God Wars: Future Past) in the demo section of the Japanese PSN and was curious as I didn't know a lot about it. Turns out it's being localised and is scheduled for release around late March, so I plan to do a proper post on it at some point. It had a really nice traditional Japanese feeling in the story and art and the tactical system used some interesting mechanics. I wasn't swayed enough to add it to my must-buy list (which honestly may just be due to my low level Japanese preventing me from understanding the story well) but the demo is over an hour long and interesting enough for those curious. 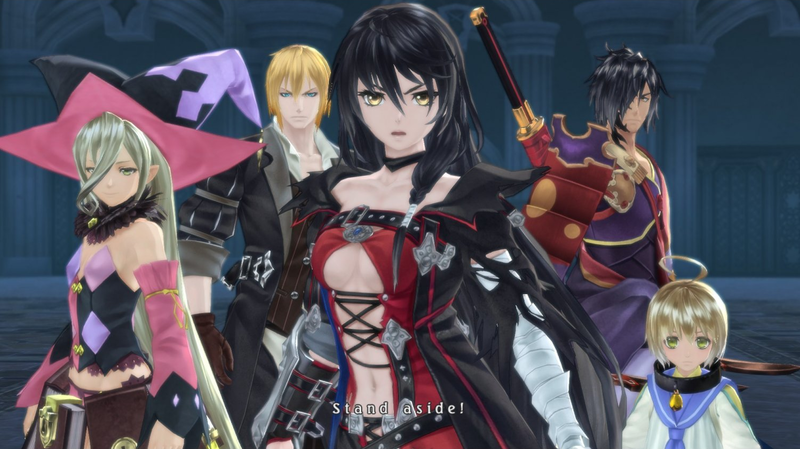 I had a phase where every time I saw Tales of Berseria, I wanted it more. Because of that, I was pretty surprised when the demo didn't have me throwing my money at it immediately. I think the problem with this demo was that it was too short and tried to show too much. I started off feeling like the combat was cool, then a few tutorials later, it was confusing as ever. I enjoyed the lengthy skits included, but there wasn't a lot of context given so some of the jokes were probably lost on me. Even though the demo didn't have me jumping for joy, I give Berseria the benefit of the doubt as the demo was rather short. The art, characters and story concept still seem interesting, so when I eventually play it I hope it's good. NieR Automata has been slowly selling itself to me and this demo where I started to truly need it. The gameplay in the NieR Automata demo was much more epic than I expected. 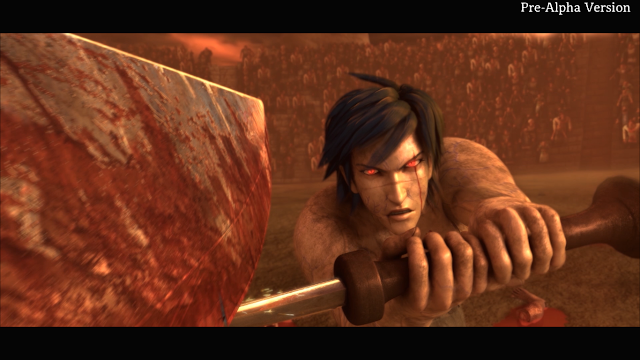 Its atmosphere was very unique and the action combat was even more fun than imagined. This demo helped put it into my March must-have JRPGs and I may make an article about how excited I am about it soon. If I'm being honest, I very briefly logged into Kingdom Hearts Unchained X for a special login bonus and haven't played much else since. It's not a bad mobile game by any stretch, it's just the story moves so slowly and there are other stories I'd like to get ahead in more. But hey, it's not leaving my smartphone game collection anytime soon! You can download Kingdom Hearts Unchained X for free from the App Store for iOS or the Google Play store for Android! I've had Persona 2: Innocent Sin sitting in my PSN downloads for a year or two so when I finished World of Final Fantasy, after hearing some of my Twitter and Instagram friends suggest it I decided it was time to finally play it. 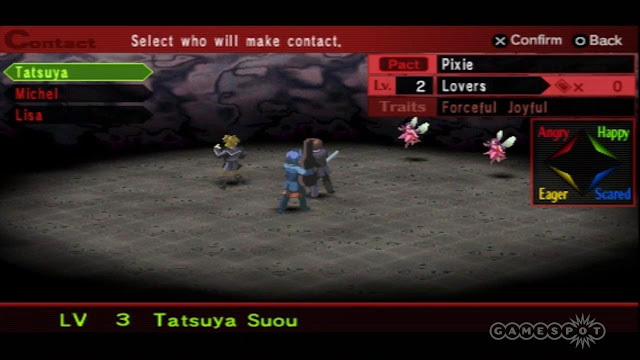 Persona 2 is a very interesting game to play as someone who jumped into the series at Persona 4 Golden - there are no social links and the graphics are pretty dated, but the demon negotiation system I enjoyed when I played Persona 5 in Japanese is there. It's a really cool system to explore in English for the first time and outside of battle, there are some characters I'm interested in learning more about. I'm only about 7 hours in but it's certainly an interesting look into the Persona series' history. This is a random one but when I decided I wanted to platinum something this year, I looked in my trophies and saw I was really close to platinuming Persona 4 Dancing All Night. So now it's back inside my Vita and I did get one more trophy for it, but I'm so close to platinuming Final Fantasy XV that I'm in no rush to get the one in Persona 4 Dancing All Night. 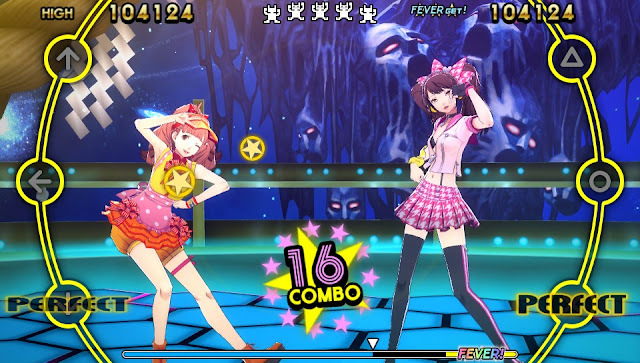 It's still a really fun rhythm game though and putting Chie in her special yellow body suit, putting on the ‘Best Friends’ Banvox Remix and making her dance is never a bad time. Before Fire Emblem Heroes whisked me away from all my mobile games, I was actively planning to complete Final Fantasy Brave Exvius’ story - I even unlocked a new island in January. I don't know when I'll get back to Brave Exvius at this point but forgetting things like the weird Ariana Grande event, it's a good game that will remain on my phone for awhile. You can download Final Fantasy Brave Exvius from the App Store for iOS or the Google Play Store for Android. I expressed how much I adored World of Final Fantasy in my review and I still look back on my monster hunting journey very fondly. But for the most part I've left it alone since I'm satisfied with the ending. 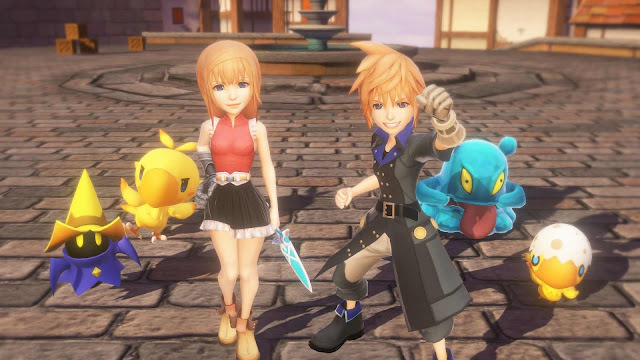 You see, World of Final Fantasy’s ‘ending’ gave me some of the biggest JRPG-story feels I've had in a long time and now that I got the closure I needed in World of Final Fantasy, I want to leave it alone....Except I want Square Enix to make a sequel because collecting and battling with Final Fantasy monsters was freaking awesome and I'd like more of that in my life......Please. I'm really glad I played Aurion. It may not have been a perfect game, but it had a lot of heart and really great ideas in it. A small piece of me misses having new Aurions to find and learning a little about African mythology through the story. I enjoyed my Aurionic journey with the King and Queen of Zama and recommend it to those looking for a different kind of JRPG. 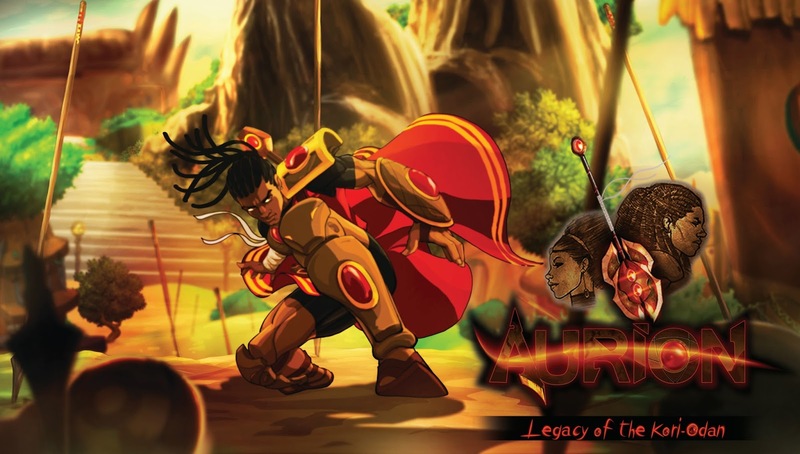 You can pick up Aurion: Legacy of the Kori-Odan on Steam! I'm pretty sure I logged into X-Tactics a few times for login bonuses and to try get X-Coins this month. I was considering completing all of the missions in X-Tactics before Final Fantasy Brave Exvius', but I seemed to be a little further into Brave Exvius. X-Tactics is next on my list though, so I hopefully I'll get some time to play it soon. 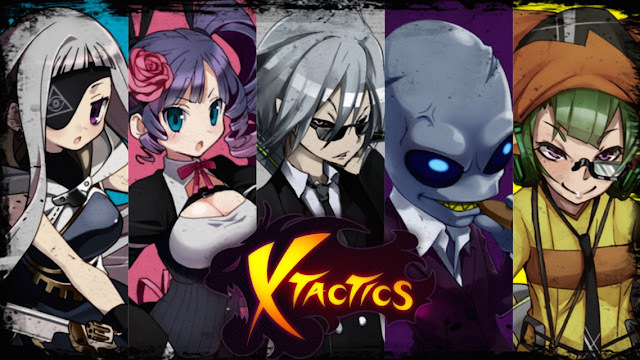 You can download X-Tactics free at the App Store for iOS or the Google Play Store for Android! You can help Legrand Legacy reach its stretch goals by supporting it on Kickstarter! Also check out the demo on Steam! My Final Fantasy XV addiction shows no sign of stopping with the update being out by the time this goes up and Episode Gladiolus being released in late March. My season pass and I are very ready for this. 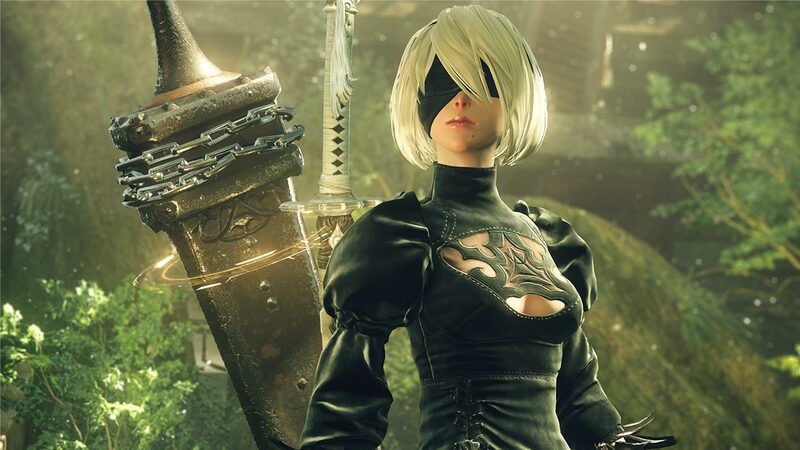 Also, NieR Automata looks fantastic and I pretty much need it. And Persona 5's English release is slowly creeping up and while there's no chance of me completing the Japanese version before the English one comes out at this point, I hope to at least spend a little more time with it before playing it in English in April. I'll also definitely be continuing with Persona 2 on my Vita when I'm not home and probably Fire Emblem Heroes. I'm really excited for NieR and Episode Gladio next month though, so I hope they live up to my excitement levels! Quick note: The next ‘JRPGs I Played’ post will be for March. Usually I've done these seasonally and this was appropriate when I was playing less games and making less articles, but as I'm starting to try keep up with new releases a bit better and get reviews done faster, I want to try doing these monthly to make it much easier for everyone to digest. If you have thoughts about this, please let me know by commenting or talking to me on social media! What did you play in Winter 2017? What games are you looking forward to playing next month (NieR Automata hype! )?